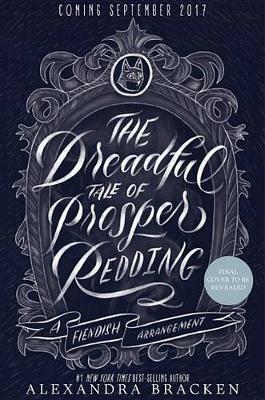 The first in a "devious and delightful" new series by Alexandra Bracken, #1 New York Times best-selling author of The Darkest Minds, soon to be a major motion picture. "I would say it's a pleasure to meet thee, Prosperity Oceanus Redding, but truly, I only anticipate the delights of destroying thy happiness?." Prosper is the only unexceptional Redding in his old and storied family history-that is, until he discovers the demon living inside him. Turns out Prosper's great-great-great-great-great-something grandfather made-and then broke-a contract with a malefactor, a demon who exchanges fortune for eternal servitude. And, weirdly enough, eight-hundred-year-old Alastor isn't exactly the forgiving type. The fiend has reawakened with one purpose--to destroy the family whose success he ensured and who then betrayed him. With only days to break the curse and banish Alastor back to the demon realm, Prosper is playing unwilling host to the fiend, who delights in tormenting him with nasty insults and constant attempts to trick him into a contract. Yeah, Prosper will take his afterlife without a side of eternal servitude, thanks. But with the help of his long-lost uncle, Barnabas, and his daughter, Nell, a witch-in-training, it seems like Prosper has at least a fighting chance of ridding himself of Alastor before the demon escapes and wreaks havoc on his family. Little does Prosper know, the malefactor's control over his body grows stronger with each passing night and there's a lot Alastor isn't telling his dim-witted (but admittedly strong-willed) human host?